Hi all! Let me introduce myself. 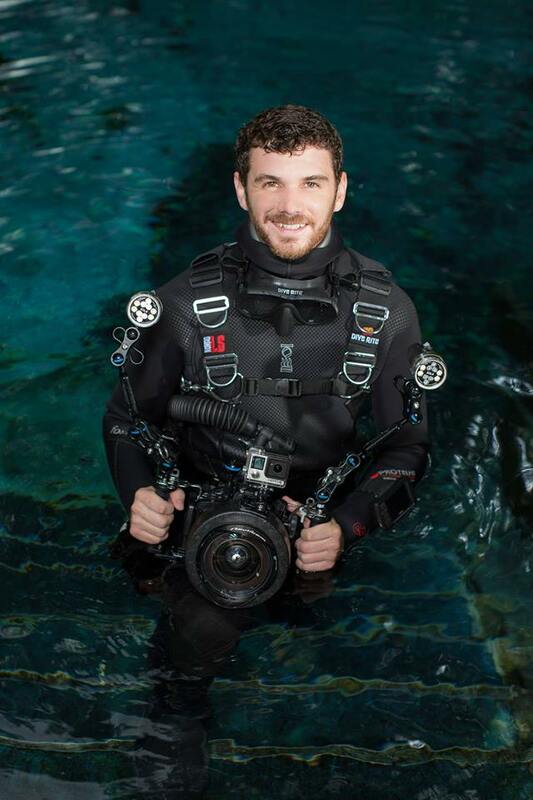 I am Shaun Wolfe, the 2017 National Park Service Intern for Our World-Underwater Scholarship Society®. I am 26 years old, from Los Angeles, California, and have spent the last 10 years on Catalina Island seasonally. Currently, I am a master’s candidate at the University of California, Santa Barbara’s (UCSB) Bren School of Environmental Science and Management. I am focusing on Coastal Marine Resources Management and Strategic Environmental Communication. I have a particular interest in marine conservation and using images to tell stories. In the professional world, I have worked in outdoor recreation, S.C.U.B.A. diving, and aquariums. When I’m not in class, underwater, or behind the camera, I enjoy traveling, playing the drums, and surfing the waves of the California coast. I would like to preface this first blog with this: most of the photos below were unplanned and taken with an iPhone. Excuse the poor quality, next blog will be different! It’s 3:00 in the afternoon in sunny Santa Barbara, California. Palm trees shake with the sea breeze on UCSB’s campus as they gaze towards Channel Islands National Park. I am walking down the shadowy stairwells of the Bren School when my creepy, but comical, ghostly ringtone plays. “Dave!!! I’ve been meaning to call you and catch up!” It’s my biggest mentor and one of my best friends, Dave Chan. 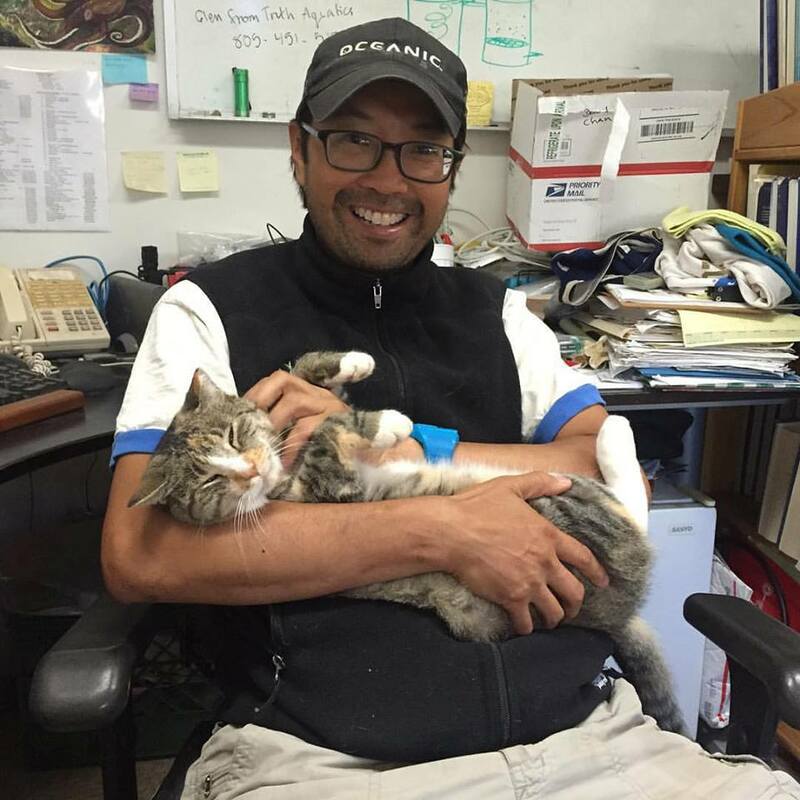 Dave is an incredibly talented diver, loves Star Wars, and serves as the Director of Marine Science at the Pennington Marine Science Center on Catalina Island. He was the first person to take a chance on me in the underwater world when he hired me as an intern and has taught me much of what I know about diving, animal husbandry, and life in general. “You’ll never guess who I just got off the phone with!” he says as I begin to think who it could be. “Brett Seymour of the National Park Service (NPS)! They are down to you and one other person! I wouldn’t let them off the phone until they were sold on you,” Dave exclaims. 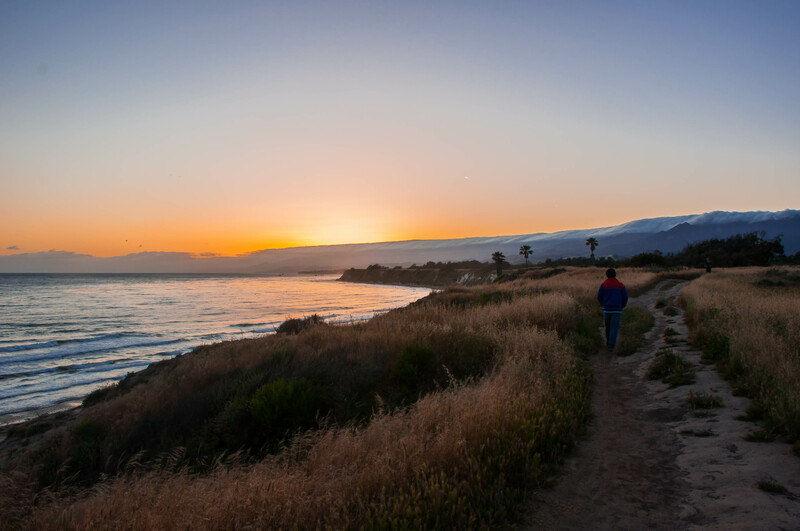 The shoreline near UCSB’s campus. I couldn’t believe what I was hearing. I applied to be the National Park Service Intern with Our World-Underwater Scholarship Society® (OWUSS) after some encouragement from Kelly Moore, the Park Dive Officer at Channel Islands National Park. I applied because it was too good of an opportunity to not apply for, but I never thought I would hear back after sending in my application. Soon enough, all of my other references- Jose Bacallao, Sean Hastings, and Allison Horst- each contacted me and said they had been called. I am trying my best to not get my hopes up. I still have a 50% chance of not getting the internship. That being said, I have already told most of my classmates about the news. Then, in my biogeochemistry lecture, I get the email stating I have been chosen to be the 2017 OWUSS NPS Intern. I can’t help but text the good news to my friends in the lecture hall. As soon as class gets out, I am swarmed by an outpouring of love, support, and congratulations from my classmates and administrators (particularly Dee White). Two months later, I’m boarding my JetBlue flight to New York City holding a garment bag with a blue suit inside. I have never flown with a suit (or owned one for that matter) in my life, but this trip calls for fancy attire. 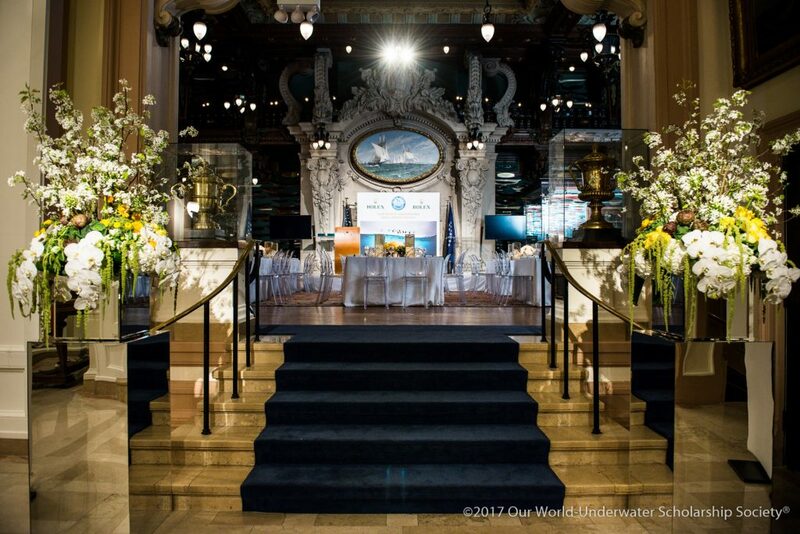 I am coming to New York for the annual OWUSS banquet. After enjoying a cold sparkling water on board my red-eye flight, I take the A train into Manhattan, grab brunch with an old friend, and prepare for the night ahead. At 5:45 PM, I meet the 2016 and 2017 OWUSS interns and internships staff in the lobby and we travel as a large herd to the event. When I arrive at the venue, I am greeted by my supervisors and mentors for the summer- Dave Conlin (a marine archaeologist) and Brett Seymour (a photographer and videographer). They are a perfect pair. Dave is the funny uncle who cracks jokes while meandering effortlessly from group to group in the room. Brett is a hip and stylish creative who is passionate, humble, and speaks with purpose. “Pretty awesome isn’t it? You’re part of the family now,” Dave tells me as we look out on the skyline. I spend the rest of the evening getting to know the OWUSS scholars, interns, and staff. In the morning, I catch a rideshare to the Explorer’s Club with Claire Mullaney, the 2017 OWUSS Dr. Jamie L. King REEF Marine Conservation Intern. Claire is passionate about marine conservation, gets cold if the temperature is below about 85F, and has made it a life goal to make people want to visit the Midwest. I admittedly didn’t know nearly enough about the Explorer’s Club when I applied to be a member months prior. The club and its members have been at the forefront of exploration around the globe (and solar system) since 1904. It’s headquarters are in a brownstone building in Manhattan and hold secrets and treasures from decades of exploration. I was in awe of the artifacts in the building- original blood-stained expedition maps from the first polar and eastern expeditions, game trophies from early western safaris to Africa, and Robert Peary’s sled he took on his first expedition to the North Pole. Walking the halls of the club is a humbling experience. Seeing photos of other members such as Teddy Roosevelt, Buzz Aldren, and Sir Edmund Hillary is enough to make anyone feel unworthy. 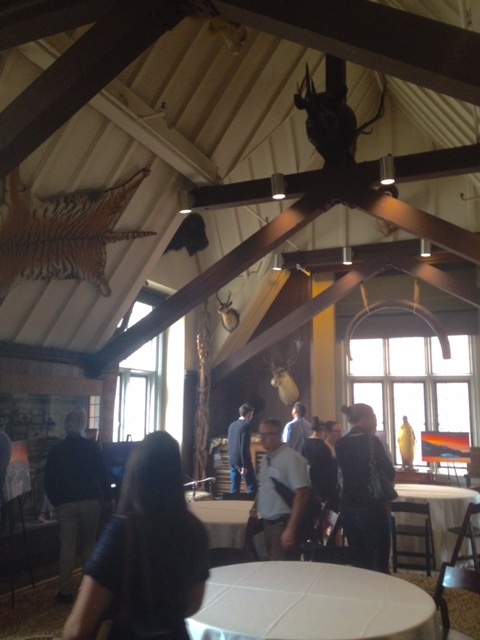 The Game Room at the Explorer’s Club is full of old safari trophy hunts that would never be taken today. 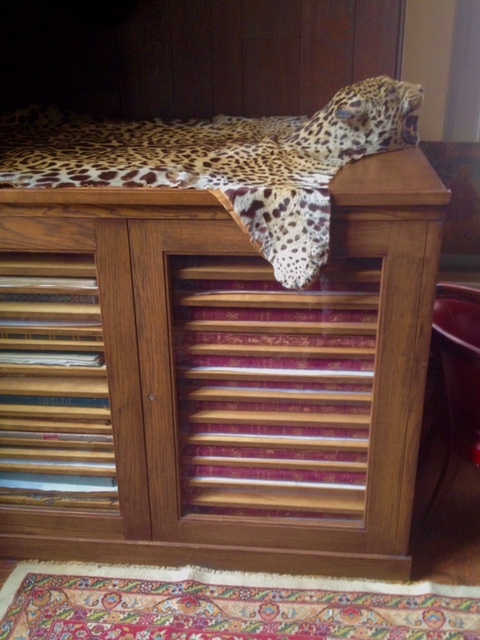 A big cat skin keeps original polar and eastern expedition maps safe. 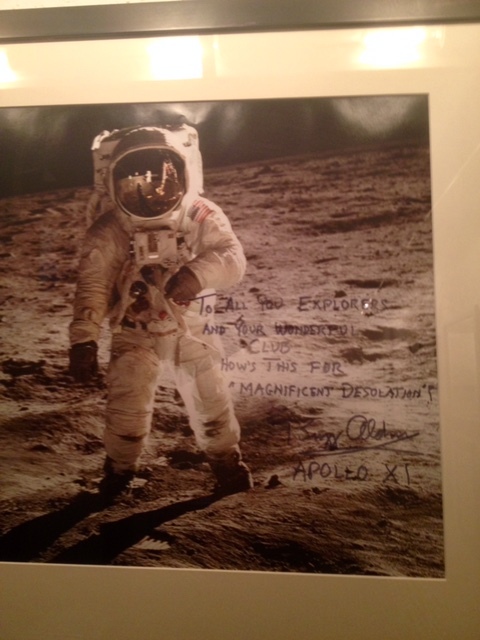 Buzz Aldren’s photo in the halls of the Explorer’s Club. Robert Peary’s original sled he took on the first expedition to the North Pole. That evening we are treated to a formal dinner at the New York Yacht Club. The Yacht Club is an unbelievable venue. 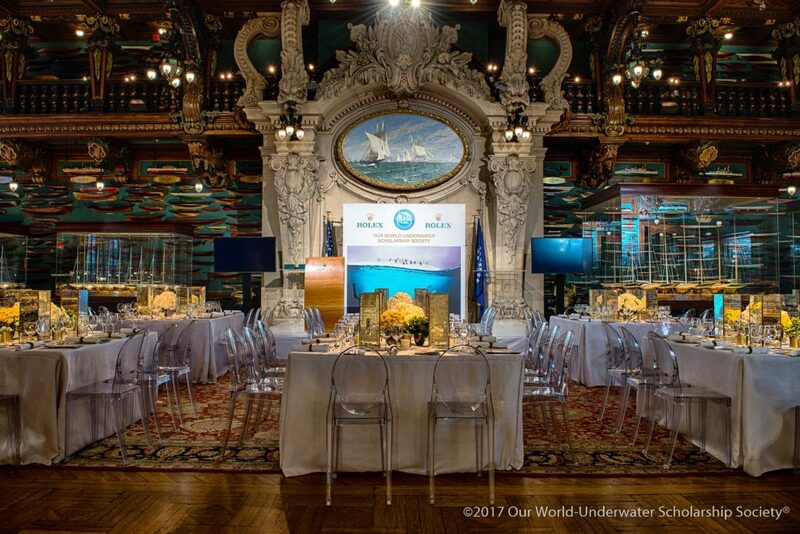 The walls of its ballroom are covered with models of hulls of boats that have partaken in the America’s Cup sailing race. Ornately decorated marble structures and dark wooden railings line the balconies. As I stroll around room, I see some nameplates that immediately pop out to me- David Doubilet, Jennifer Hayes, and Cristina Zenato. 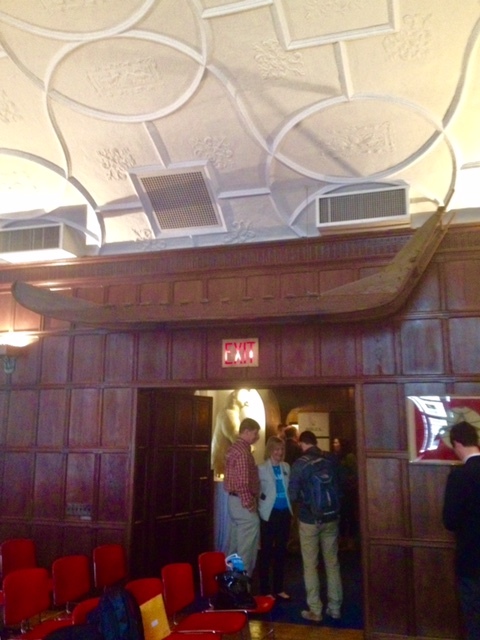 The hulls of America’s Cup boats covering the the turquoise walls of the New York Yacht Club, towered by dark wooden bannisters. 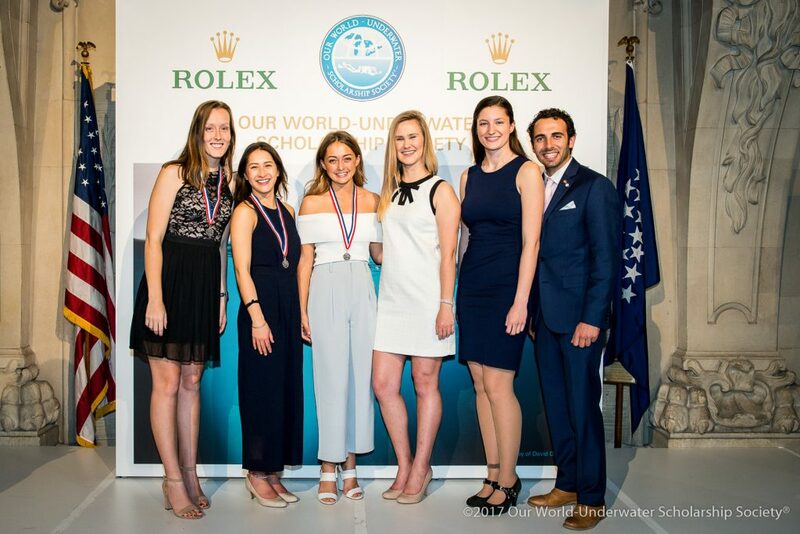 The 2017 Our World-Underwater Scholarship Society® Interns and Rolex Scholars. From L-R: Leah Potts, Mae Dorricott, Melinda Brown, Claire Mullaney, Erika Sawicki, me. 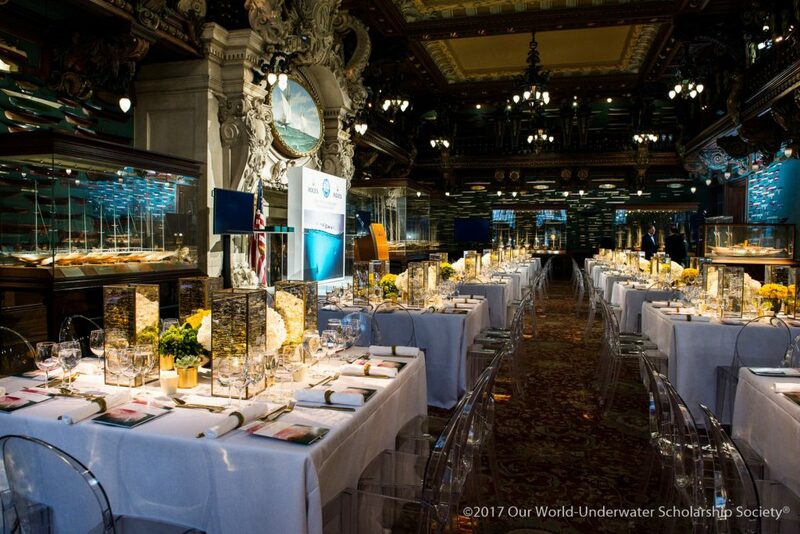 Table-side at the New York Yacht Club. 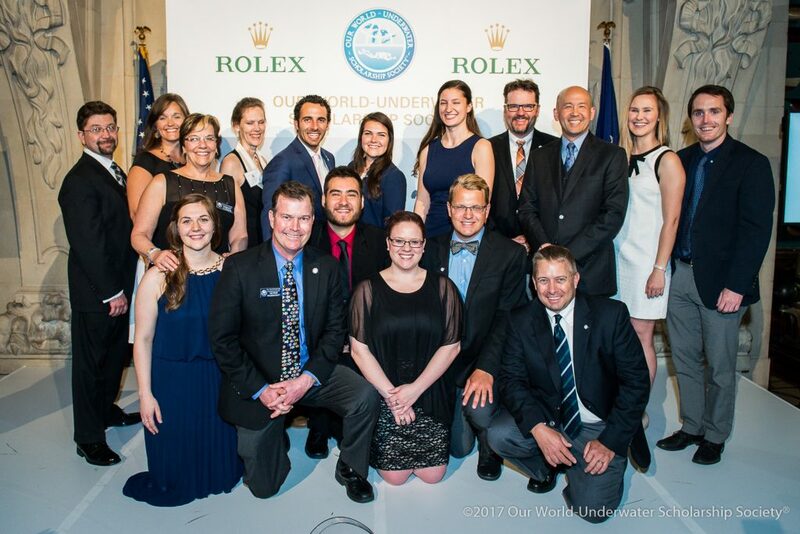 The Our World-Underwater Scholarship Society® National Park Service mentors and interns. From L-R: Dave Conlin, me, Garrett Fundakowski (2016), Tim White (2012), and Brett Seymour. Coming into the New York Yacht Club. 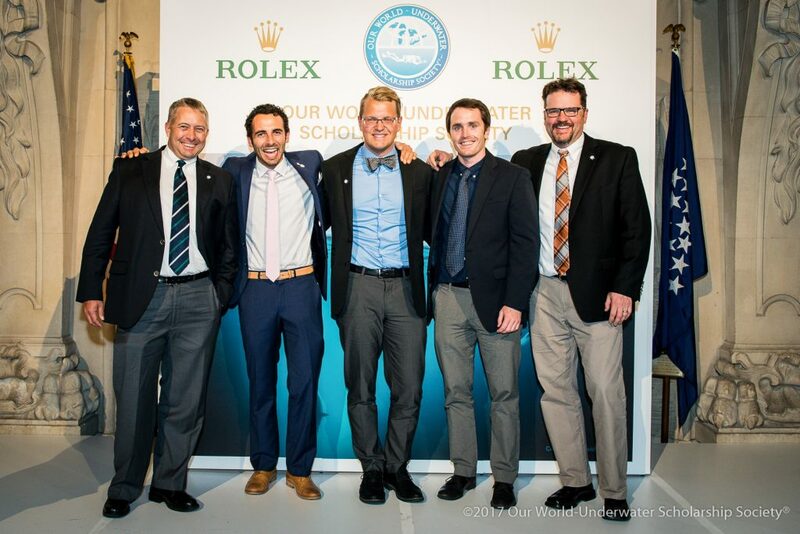 Current and former Our World-Underwater Scholarship Society® Interns, hosts, and mentors. I mention those names to Dave and Brett. “They are all good friends of mine, would you like to meet them?” Dave asks. I was shocked. These are heroes of mine, truly inspirational figures. They are all incredibly humble and I am taken aback by how willing they are to offer their help to me. Though I navigate the conversations fairly well, I have a moment of awe when David Doubilet, my favorite underwater photographer, uses me as an audience to test out his best Irish accent. I had to ask David Doubilet and Jennifer Hayes for a photo after meeting them. This was taken post-Irish accent. So much photography experience in one photo! 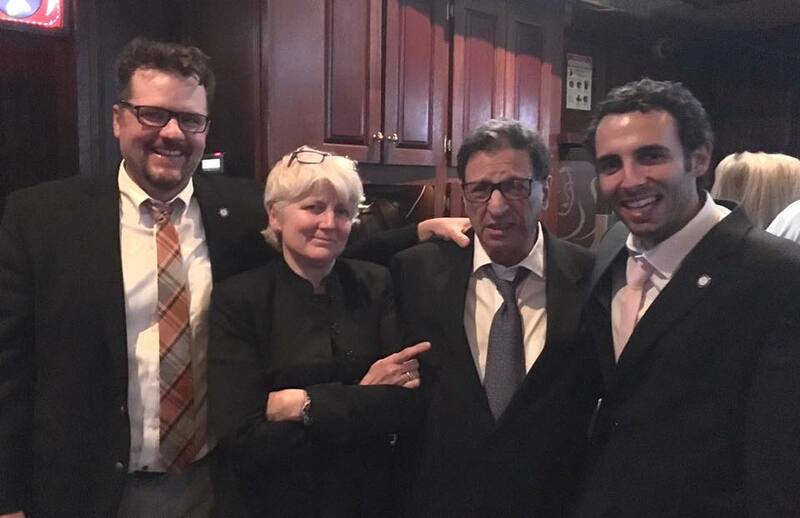 From L-R: Brett Seymour, Jennifer Hayes, David Doubilet, me. Photo credit: Elizabeth Seymour. “Is that you at the gate? Black car? Ok, just come straight on in, we are the house right at the first bend.” It’s the coolest day of the week at 98F in Palm Springs, California. Chris Milbern and his girlfriend Vera are just moving into their new house in the desert, but still offered to host me for the day. 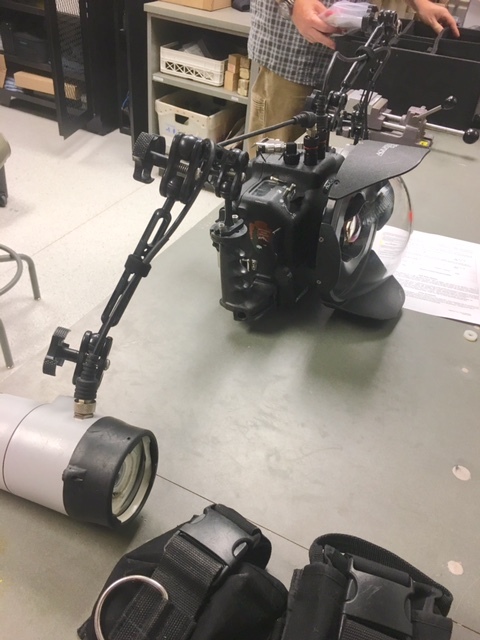 “Every camera system is totally different, but at least this will give idea of what you’re dealing with,” Chris tells me as he shows me the components to his system. Chris’ underwater camera system laid out near a stack of notes he had prepared for me. Chris takes me through the entire photographic process, from building an underwater camera rig to setting up the shot you want to making the shot happen. “The biggest thing is that you want it to look natural,” he states. Once Chris and I wrap up, I spend some time bonding with him and Vera. Turns out, Chris and I have more in common than diving. We have a common mentor in Mike Anghera (my original Diving Safety Officer), we lose our keys too frequently, and we both love stickers. I leave Palm Springs with two new friends and thank two of the most unreasonably kind people I’ve ever met. 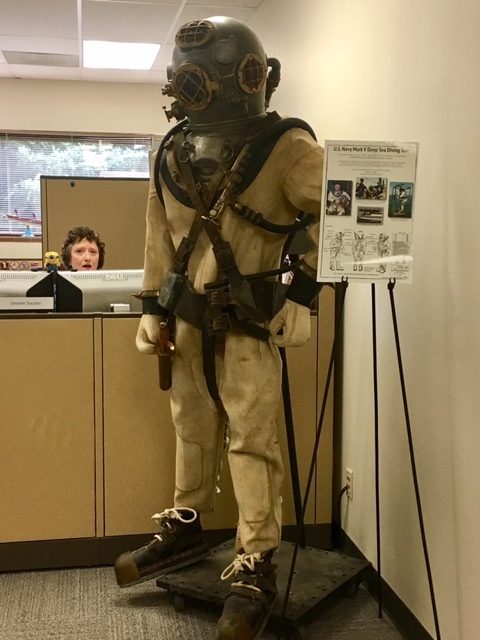 Before I start visiting National Parks, I make a stop at the Submerged Resources Center (SRC) headquarters in Lakewood, Colorado (just outside of Denver). I land and am greeted by Dave and Brett, each with a rolling waterproof carry on bag in hand. “I love this truck. If you take care of them, they last forever. I think it will be good past 250,000 miles,” Dave tells me as we get into his Toyota Tacoma. On the way to his house, I tell Dave how much I appreciate him and Brett choosing me for the internship. “I haven’t always had people willing to help me and I’ve failed many times, not being able to get a job in the field,” I tell him. “It’s all about passing it forward. That’s why we are here,” Dave replies. We arrive to Dave’s house, where I will be spending the weekend. 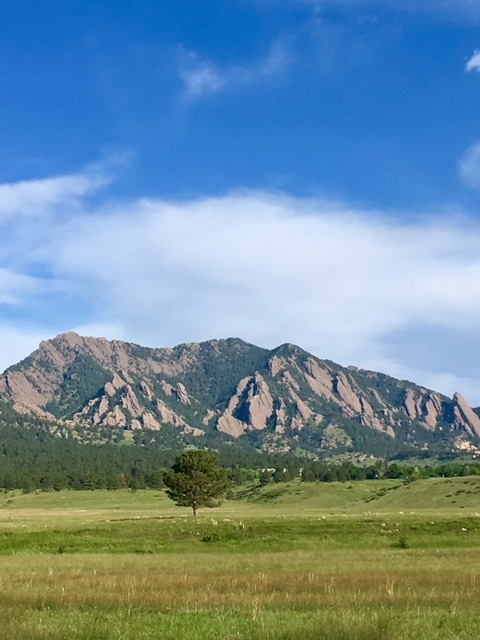 It is situated in a quaint neighborhood that backs up to the Flatiron mountains in Boulder, Colorado. Dave and his wife, Michelle, graciously offered to put me up for the weekend at their place. The first person to greet us when we walk in is his dog Luc. 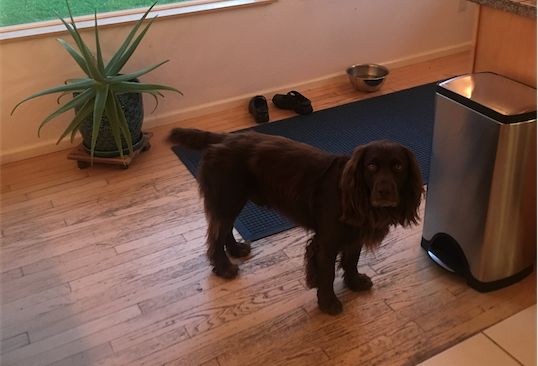 Luc is a brown spaniel that loves chasing balls, has gorgeous brown eyes, and has the energy of about 20 dogs. Later that evening, I get to know Michelle. Michelle is a sporty, short haired woman who loves Ben Stiller films and is full of incredible stories. “We were at the US embassy Thailand. He didn’t have any identification on him, but we ended up getting a new passport and going out with the ambassador to a party that night!” she tells me about a guy she used to travel with in her younger days. The Flatiron Mountains near Dave and Michelle’s place. I spend most of the weekend at SRC headquarters. It is a sight to behold. 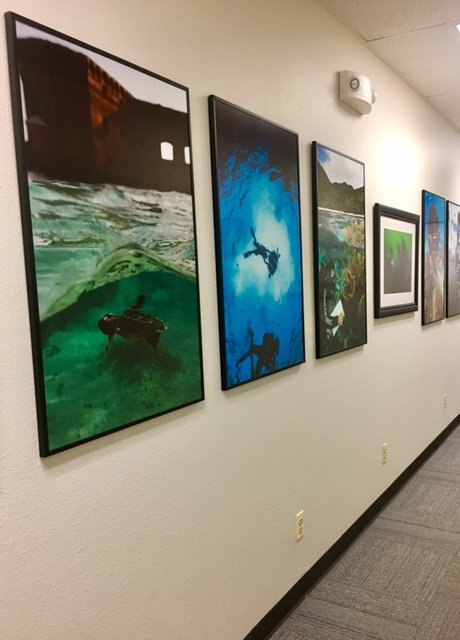 The halls are lined with Brett’s photography and an original Mark IV US Navy diving suit greets you when you enter. 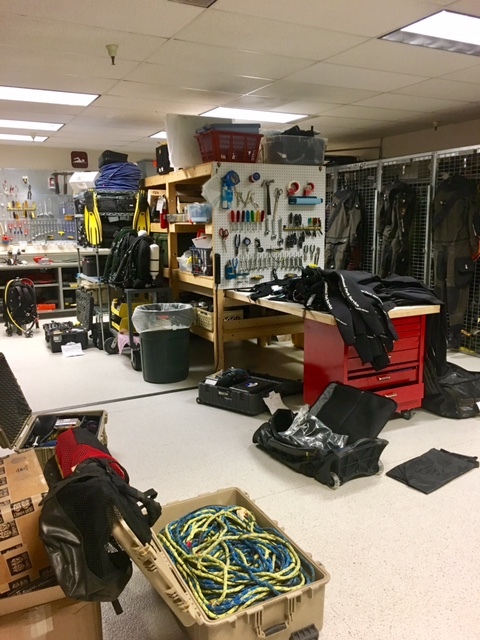 The SRC diver locker, otherwise known as the “armory,” is filled with enough dive gear to make even the saltiest diver’s jaw drop- everything is top-of-the-line, from photography equipment to closed-circuit rebreathers. The thing that caught my eye more than anything else though, was how every piece of gear is labeled “National Park Service” or has the NPS arrowhead logo on it. The whole place just oozes with cool. Brett gets to work pretty quickly giving me my gear for the summer. 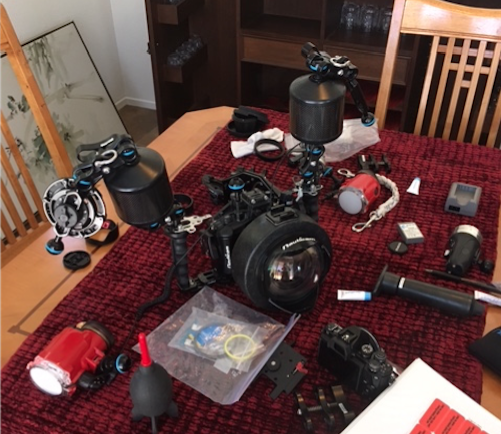 Exposure gear, dive gear, and photography gear. I try my best to keep up with everything he tells me about my new gear while also trying to manage my excitement. 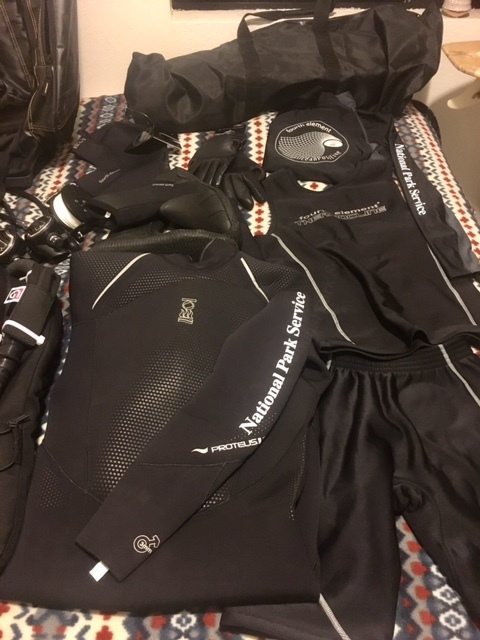 I can’t lie though, being handed a wetsuit that says “National Park Service” on it made me feel really cool. The Mark IV Navy diving suit, manufactured on D-day, 1944. Brett Seymour’s work lines the halls of the Submerged Resources Center. The Submerged Resources Center dive locker, AKA the armory. Arrowhead logos are on all the gear at the Submerged Resources Center. 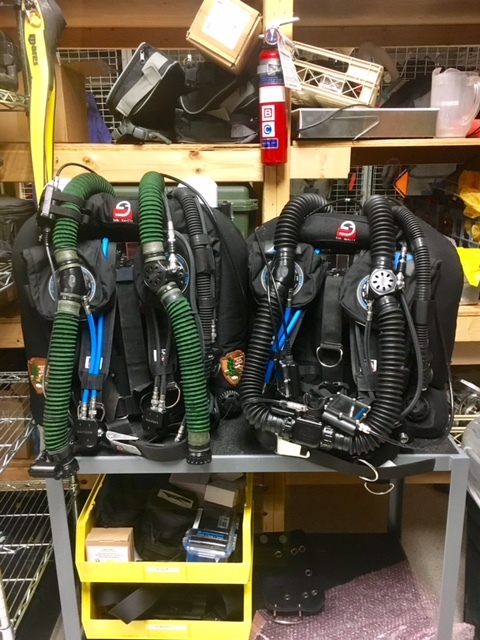 Closed-circuit rebreather rigs at the Submerged Resources Center. Notice the Arrowhead logo on the wing of the BCD. 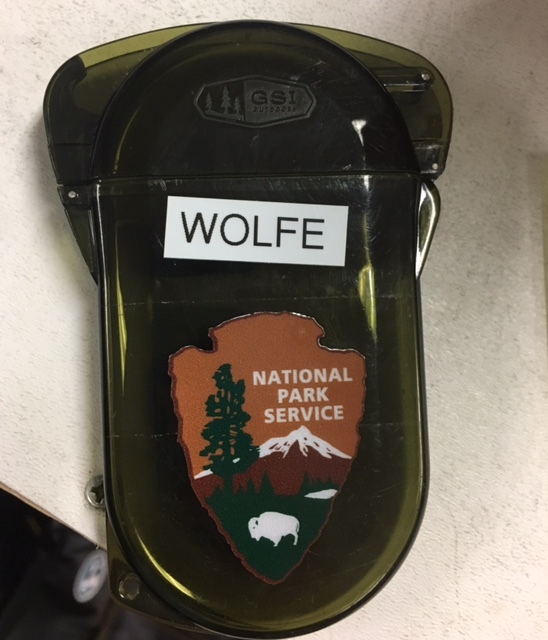 Seeing my name with the National Park Service Arrowhead was extremely exciting for me, even if it was just a small plastic case. My DSLR camera set up for summer – a Nikon D3s in an Aquatica housing. My exposure gear for summer. 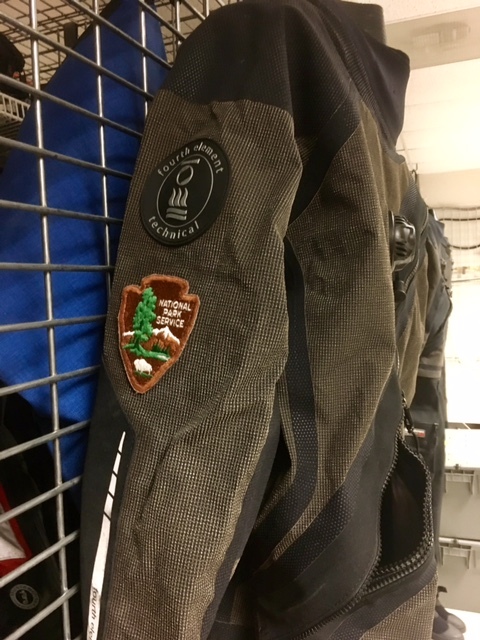 So excited to have the National Park Service printed on the gear. 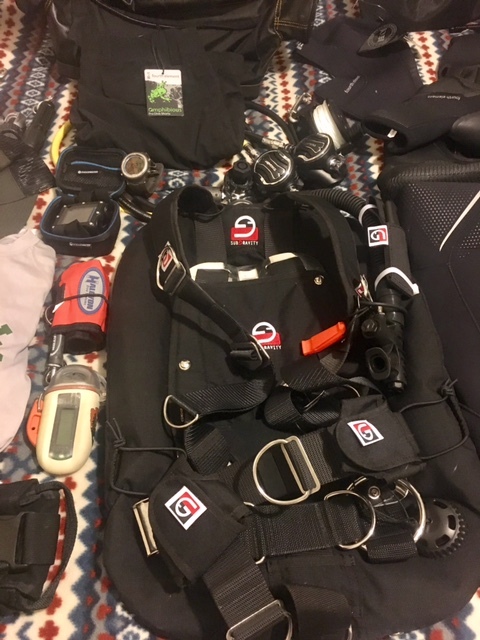 My dive gear for the summer. The Submerged Resources Center believes strongly in having the best gear to keep it staff safe. The next day, Brett and I spend some time in a local dive shop pool. He wants to give me a chance to get the camera in the water. I am nervous and using all new equipment. When we get the camera in the water, it was much heavier than I expected and I have trouble keeping my trim (orientation in the water column) and buoyancy consistent. After fidgeting around with the shutter speed, aperture, ISO, and strobe power for a while, I get to the point where I am taking acceptable (albeit poor) photos. “That was good. The thing about underwater photography is, it’s simple. If you’re photos are too dark, open up the aperture a little bit,” Brett tells me. That simple advice stuck with me and was really comforting to hear as a novice. That night, I go out to “Salt,” a hip and delicious restaurant that his home to many bearded men and decorated with distressed wood. Dave, Michelle, and I exchange travel stories and Dave tells me about when he was a ski bum in his 20’s. It is the perfect send off before I would leave for summer. Brett, Dave, and Michelle made me feel at home and brought me into their family. The last stop I have to make before beginning my summer is to see Kelly Moore at Channel Islands National Park to finish my Blue Card certification (the certification needed to dive with NPS). Kelly is a true California beach gal who grew up on Catalina Island. She greets me that morning with a bright smile and asks, “have you ever seen the landing dock at Anacapa Island? No? Well, it’s the most exciting dive entry you’ll ever have!” Sure enough, I come to find out that the drop of about 10-15 ft between the dock and the water puts the “giant” in giant stride. On our first dive Kelly has me navigate to a giant swim-through arch underwater. It is surreal. I had never been to a swim-through arch before. I swam through it on my back, looking towards the surface, watching my exhaled bubbles climb the walls of the rocky arch. 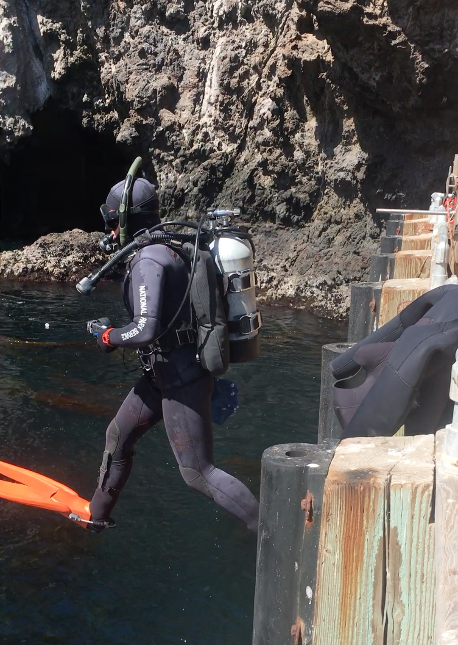 Kelly Moore hops off the dock at Anacapa. This was originally a video, hence the strange cropping, but it was too big to upload to the blog! After spending some time on the surface to watch a live-broadcast underwater educational segment (part of the Channel Islands Live program), Kelly asks me if I want to do another dive. “Last one off the loading dock is a rotten egg!” I respond. We explore some sea caves on the second dive and visit the memorial site of an NPS diver that passed away underwater in the cove. Near the caves, multiple California sea lions dance with us and buzz our heads, coming as close as just a few inches at times. When we get back to the mainland, I thank Kelly again for encouraging me to apply in the first place. She expresses her excitement for me and the journey ahead, “can you smuggle me in your suitcase?” she says jokingly. My time with Kelly at Channel Islands reflected my time in Denver, Palm Springs, and New York City. Everyone has been exceedingly willing to help me and give me a chance, for which I am eternally grateful. Dave, Brett, Chris, and the entire OWUSS community have made me feel like part of the family. It is a tight-knit group, much like NPS, and one that I’m honored to be a part of. Seeing the camaraderie within OWUSS makes me all the more excited to begin my journey of exploring the National Parks this summer and joining the NPS family. This entry was posted in 2017 National Park Service, Current Internships on July 9, 2017 by Shaun Wolfe. Well done and welcome, Shaun! Although the Washington Office has only concrete canyons, look forward to hosting you here in a few months to relate your adventures to NPS and other ocean folks in Department of the Interior. Thank you for the kind words Cliff! It would be an honor to go east to visit and share with you all.